Published on August 5, 2016 in News. 0 Comments Tags: Indie Showcase, Paradigm, PAX Aus. 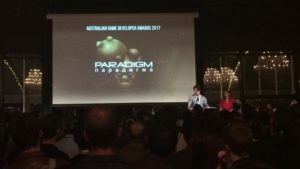 Pax Australia is back in Melbourne this November, and it has just been announced that WA-made game Paradigm will be featured in the Pax Australian Indie Showcase. 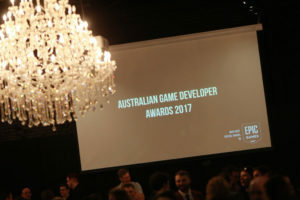 This specialised showcase is designed to highlight the best indie games from across Australian and New Zealand, with the titles on show selected by games industry veterans. 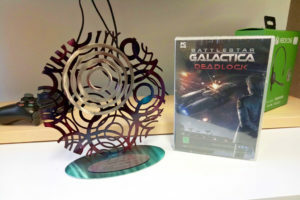 The work of local developer Jacob Janerka, Paradigm is a highly anticipated hand-crafted game that featured at the 2014 Perth Games Festival, and was successfully Kickstarted back in 2014. Paradigm is a surreal point-and-click adventure game set in the strange and post apocalyptic world of Krusz; a land inspired by a mix of Eastern Europe and the 70’s and 80’s. You play as the unattractive yet over-confident mutated Paradigm; who must prevail through inconvenient trials to overcome the insecure yet tyrannical sloth antagonist, Olof! Imagine a cross between The Mighty Boosh, Lucas Arts adventures and Fallout. So congratulations Jacob (and of course the handsome mutant Paradigm) on securing a place at PAX! To find out more about Paradigm, head on over to the website. Or simple visit the PAX Australia website to get the low down on the Indie Showcase and grab your tickets to the big event! Published on October 6, 2014 in News. 0 Comments Tags: Greenlight, Kickstarter, Paradigm. Paradigm is the peculiar point and click adventure game that has been intriguing and confusing people the world around since the start of its Kickstart campaign last month. We would like to extend a big congratulations to local developer Jacob Janerka, as the game has not only reached its funding goal, it has smashed its target, reached several stretch goals, and been Greenlit on Steam! 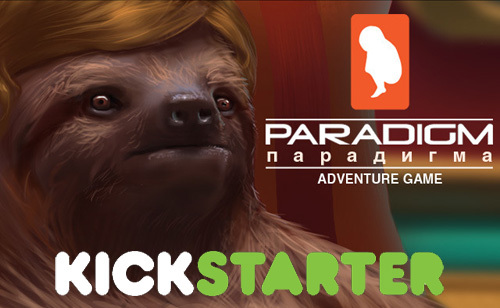 There is however only 12 hours left in the Paradigm Kickstarter campaign, so now is the time to get in and support this local developer to help him achieve one last stretch goal, allowing him to live the dream and work on the game full time. If you’re eager to play a weird and wonderful point and click game, there’s still time to put your name down for a copy of Paradigm, some fancy extras and even have your own floating head in the game. So head on over to the Kickstarter page, or download a copy of the alpha on Windows or Mac (10.9) to try it out now. Published on September 11, 2014 in News. 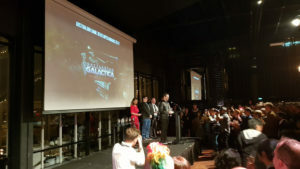 0 Comments Tags: alpha, Greenlight, Kickstarter, Paradigm. Every so often a game will come along that is so peculiar that you just can’t look away. Paradigm is one such game, as it draws you in with its curious cast of mutant characters and vibrantly coloured post-apocalyptic world. Spawned from the mind of Perth’s own Jacob Janerka, this point and click adventure is now out in the world looking for love. » The game’s alpha is available now, so you can get to know Paradigm and his mutant friends (not to mention enemies). You can also show your support for this unusual adventure by backing it on Kickstarter or giving it a vote on Greenlight. The Let's Make Games archives for the paradigm tag.